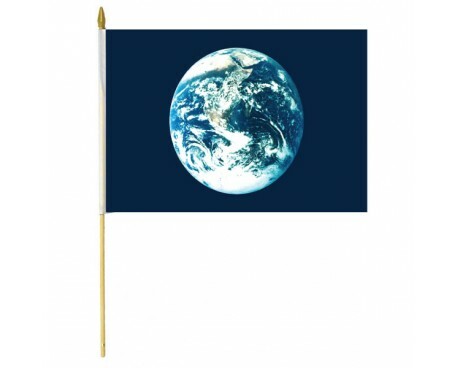 Ecology Stick Flag - 4x6"
Show your appreciation for this beautiful planet and your promise to show environmental awareness with our large selection of Earth flags and environmental awareness products. 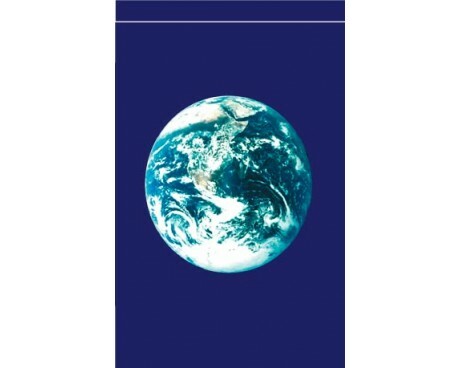 Our earth flag, is made with a beautiful high resolution image of the Earth from space (a famous NASA photo) on a dark blue background. This Earth banner is not an official flag of any kind. The first Earth flag produced used screen-printing and the colors of the earth were reversed: the ocean was white and the clouds were blue. With only two colors, one color was for clouds and the other color was for both ocean and land. This image of a later Earth flag shows the correct colors. 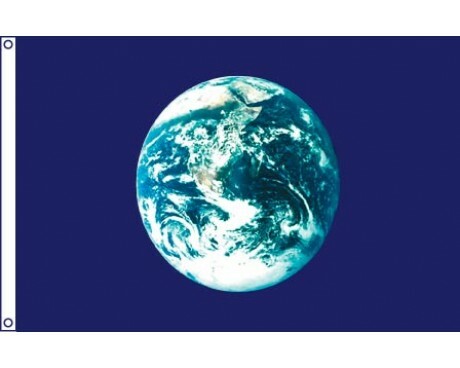 We offer both an Earth flag and an Earth banner in many sizes. We have both 4x6 inch and 12x18 inch Earth flags. We also have larger Earth flags that come in 2x3 feet, 2.5x4 foot, and 3x5 foot, and are constructed with a header and grommets for mounting. 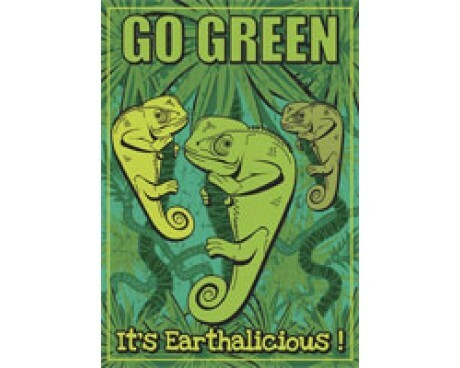 Finally, we offer an Earth banner that comes in two sizes – garden (11x15 inch) and 2x3 foot, both with a pole-sleeve. The Earth banner is great for displaying in your garden as well as for hanging off your house. If you are looking to show your environmental awareness, we have several types of environmental awareness products, in addition to the Earth flags mentioned above. 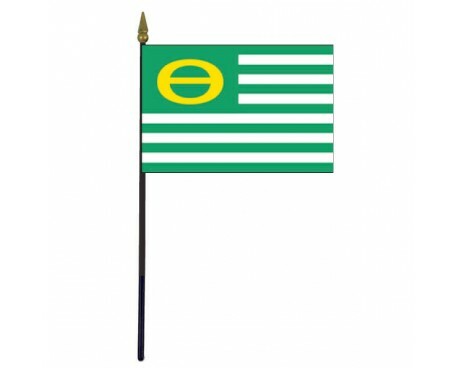 One of the more popular ways to show environmental awareness, is through the use of an ecology flag. An ecology flag shows your concern for the health of planet Earth. Encourage conservation, reduce use of energy and resources, reuse when possible, and recycle often. Work to avoid more species of plant and animals going extinct. Ron Cobb created an ecology symbol, and published it on October 25, 1969, placing it in the public domain. The symbol was a combination of the letters "E" and "O" taken from the words "Environment" and "Organism", respectively. Look magazine incorporated the symbol into a flag in their April 21, 1970 issue. 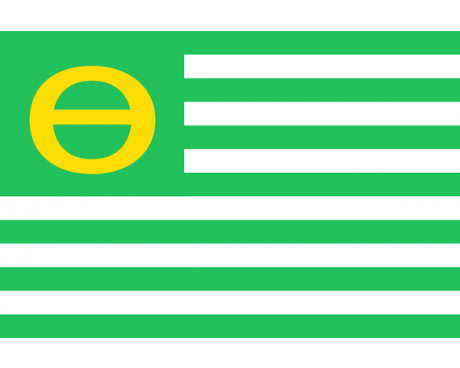 The ecology flag was patterned after the flag of the United States, and has thirteen stripes alternating green and white. Its canton is green with a yellow theta replacing the similar Cobb symbol. Theta was used because of its historic use as a warning symbol, and the symbol would later become associated with Earth Day. As a 16 year old high school student, Betsy Boze (Betsy Vogel), an environmental advocate and social activist that enjoyed sewing costumes and unique gifts, made a 4 x 6 foot green and white "theta" ecology flag to commemorate the first Earth Day. She was initially denied permission to fly the ecology flag at C.E. Byrd High School in Shreveport, Louisiana. Vogel sought and received authorization from the Louisiana Legislature and Louisiana Governor, John McKeithen, in time to display the flag for Earth Day. If you are purchasing an Earth flag or other types of environmental awareness products, you will need to consider your mounting options. One of our popular items for house-mounted flags is the aluminum spinning pole. This pole will keep your environmental awareness products from tangling. This pole is designed to be used for flags with sleeves and for those with a header and grommets.